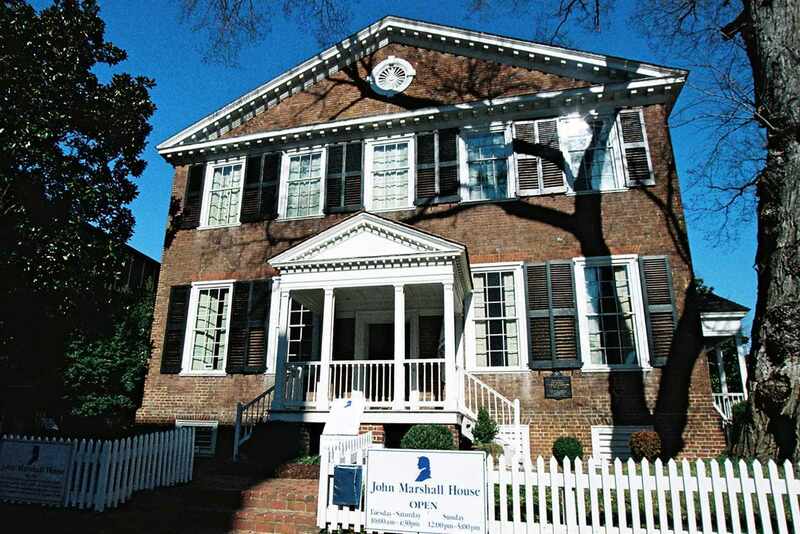 John Marshall was born in rural western Virginia to a father who worked as a surveyor for Lord Fairfax. Marshall's father saw that his children were well-educated, often using books from Lord Fairfax's library to teach them. As a young man, Marshall joined the Culpeper Minutemen of Culpeper County, Virginia and fought in the American Revolution. He later served in the 11th Virginia Regiment of the Continental Army. 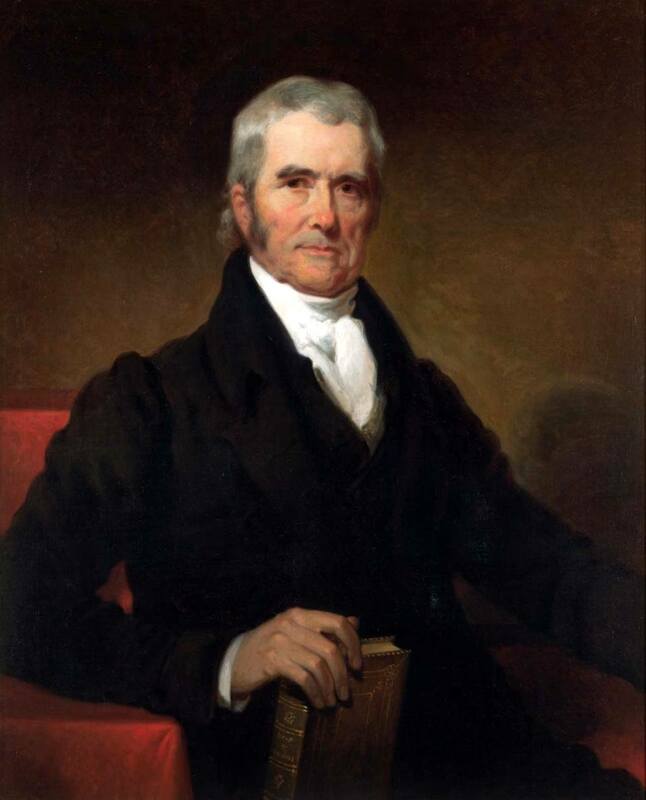 Marshall served as Chief Justice for 34 years, the longest service of any chief justice. Marshall used his position of influence to cement Federalist policies into law, which supported a powerful central government. He was often at odds with President Thomas Jefferson and his Democrat-Republican party, which favored states' rights and small government. Marshall's policies helped establish the Supreme Court as an equal branch of the federal government, giving it authority to review the actions and laws of the President and Congress and deem them "unconstitutional." The Marshall Court helped establish that the government must obey the Constitution and that federal law supersedes state law. His Court gave Congress large leeway in deciding what was “necessary and proper” to do its duties; helped define Congress' role in regulating interstate commerce; established the idea that corporations have the same rights as individuals; and ruled that the Bill of Rights was only intended as a restriction against the federal government.